Waiting by the side of the dirt road next to the Punyoro Primary School, it was hard to believe that the Punyoro community in Ghana’s Upper East Region is among the most impoverished in Ghana. We could see well-ploughed fields in every direction, sprouting with the green tops of recently planted groundnuts, maize, millet and rice, with an abundance of sheep, chickens and cattle nearby basking in the hot morning sun. I was waiting with community members and the Ghana team for a special visitor who was coming to meet with women farmers from Canadian Feed The Children’s RESULT (Resilient and Sustainable Livelihoods Transformation) project. Nyaaba Janpanah remembers working long hours in the fields for sometimes meagre yields. Just a few short years ago, the view would have been very different. For one thing, crops were probably not so plentiful. Nyaaba Janpanah, a woman farmer from Punyoro, remembers working long hours in the fields for sometimes meagre yields. Unreliable rains and the long dry season left her and her children hungry for many months in the year. 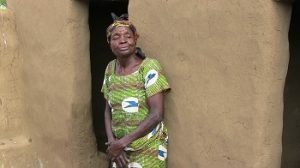 Her experience is shared by thousands of smallholder farmers all over Africa – 70% of whom are women. 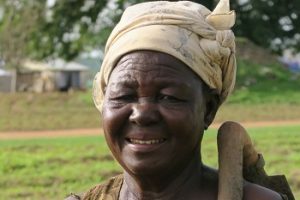 This is why empowering women farmers is so crucial for poverty and hunger alleviation in northern Ghana. Funded generously by the Canadian government and CFTC’s private donors, RESULT has provided 21,000 farmers including Nyaaba with training on new climate-smart agricultural techniques, fertilization, seeds, and environmentally-friendly pest management. The project has also expanded small-scale irrigation for dry season gardening from December to April, when there is no rain and the main season crop yields start to run short. This ensures that farmers can feed their families and sell at the local market all year round. RESULT also supports income-generating activities like soap making, basket weaving, shea butter production, bee keeping, groundnut oil processing, and aquaculture. This gives women greater income of their own, resulting in greater power, status and voice for women within their communities. This was the powerful change that the Honourable Marie-Claude Bibeau, Minister of International Development and la Francophonie, came to see. During her early morning tour of Punyoro, Minister Bibeau met one-on-one with women farmers and entrepreneurs, who described how they have benefitted from Canadian assistance through RESULT. Nyaaba Janpanah shared how transforming her farming practices has led to higher yields and greater food security. Azumah Benyela explained that she was now raising sheep using good animal care practices to protect her investment. Meeting with 16 women under a mango tree, Minister Bibeau heard from women who said that they could now grow enough food to last from one harvest to the next. Others described growing their livestock herds from two sheep to six, allowing them to pay for both boy and girl children to attend school. Several women talked about their involvement in Village Savings and Loan Groups (VSLGs). They save together, loan to each other, and contribute to a social fund to support one another in times of crisis. They can now buy seed, pay school fees and medical bills, and weather high-expense periods without depleting their assets or going hungry to pay debts. Each woman had a unique story to tell of personal transformation. One woman explained that she could now write her name thanks to night classes in literacy. She did so proudly, inscribing “Dominica” on the ground for Minister Bibeau. The last speaker expressed perhaps the most important change in their lives. She said that while in the past women weren’t allowed to join discussions with men, they are now more respected and openly asked for their opinions. This is directly because of their farming, savings, and the income they bring into their households. They walk tall beside their husbands and speak out to their local District Assembly representatives. They have become powerful agents of change in their own lives, and for their families and communities. 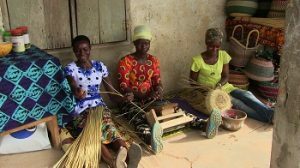 The women demonstrated basket weaving, a lucrative source of supplemental income for farmers. 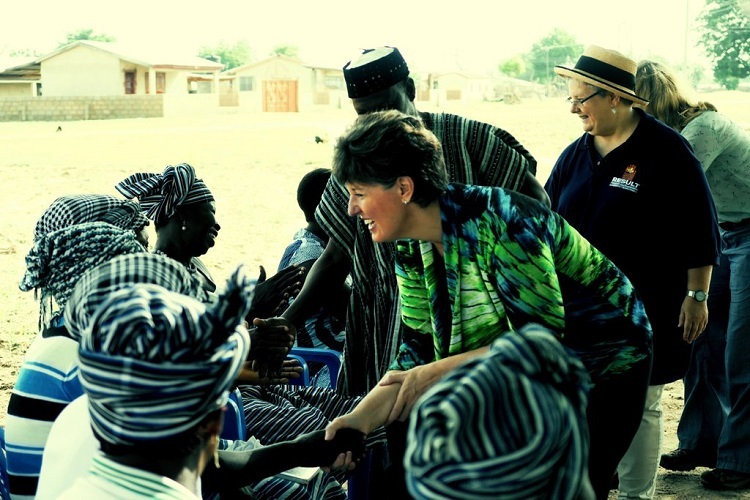 To end her tour, Minister Bibeau returned to the Punyoro Primary School, which had been turned into a colourful trade fair. Women farmers showcased income-generating activities like shea butter processing, basket weaving, soap production, and cage fish farming (aquaculture), along with VSLGs. The energy was high as the Minister thanked each woman in turn and acknowledged their work. The women shared a farewell celebration dance and song in praise of Canada for ‘not leaving any woman behind,’ with Minister Bibeau impressively busting a few moves of her own to the delight of her new farming friends. The community and the RESULT team were buzzing following the Minister’s departure. Her warm and authentic approach really made an impression, as did the simple fact of her presence as a female leader supporting a feminist development assistance agenda that puts women and girls firmly at the centre for the benefit of all. On that day I saw first-hand that, as Canadians, we can and do have a significant impact on the world by supporting women’s economic empowerment. Children have greater access to good food, girls especially are able to attend and stay in school, and women and men work together to achieve greater agricultural productivity and income year-round. Women’s growing social and economic power is the engine that is lifting families and communities out of poverty, and contributing to their collective and interconnected future. I have to say my heart was full to bursting by the end of our visit. I am proud and inspired by these women farmers who had the courage to embrace new practices and become agents of positive, powerful change for their community. I’m proud and inspired by the entire RESULT team in Ghana which has worked so hard to empower these women so they can lead their own development going forward. And I’m incredibly proud and inspired that we have an empathetic, deeply engaged Canadian woman leading this change globally with such a clear commitment to listen and to take decisive action. Thank you for the visit Minister Bibeau!